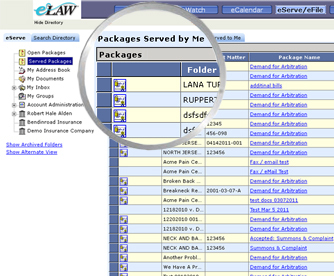 eServe is the electronic portal to file and serve demands and other documents in all New Jersey PIP arbitration cases. eLaw directly syncs with Forthright’s case management system and generates critical PIP case information back to all claimants and respondents who use eServe. By using eServe you will know when all hearing dates are scheduled, the names of your DRPs and who is assigned as your case coordinator. Electronic service through eLaw satisfies Forthright’s service of process requirements.